The Militia Act of 1855 authorized the first Canadian paid force of 5,000 men. This force included seven independent batteries of artillery. Four of the original seven batteries are perpetuated by Reserve component batteries today (57th Field Battery (6e Régiment d’artillerie de compagne ARC), 2nd Field Battery (30th Field Regiment RCA), 7th Field Battery (2nd Field Regiment RCA) and 11th (Hamilton-Wentworth) Field Battery (11th Field Regiment RCA). Prior to 1855, volunteer artillery batteries existed in British North America but the continuity of some of these batteries is difficult to trace. One of these pre-1855 units, the Loyal Company of Artillery, was formed in Saint John, N.B., in 1793, and today is perpetuated by the 3rd Field Artillery Regiment (The Loyal Company) RCA. Artillery was the first element of the regular component of the fledgling nation of Canada’s military. On 20 October 1871, The Royal Regiment formed the first Canadian Regular army units when two batteries of garrison artillery were created. A and B Batteries located in Kingston and Quebec respectively were to perform garrison duties and also to serve as Schools of Gunnery. They exist today as part of the 1st Regiment Royal Canadian Horse Artillery. The Regiment originated on 10 August 1883, when the “Regiment of Canadian Artillery” of the Permanent Active Militia was authorized to be formed. It was re-designated “The Royal Canadian Artillery” on 24 May 1893. On 1 December 1898 the Regiment was reorganized as two types of artillery designated the ‘Royal Canadian Artillery (Field Division) and the ‘Royal Canadian Artillery (Garrison Division). These divisions were re-designated the “Royal Canadian Field Artillery” and the “Royal Canadian Garrison Artillery” on 1 June 1901. On 1 September 1905 the Royal Canadian Field Artillery was re-designated the “Royal Canadian Horse Artillery”. 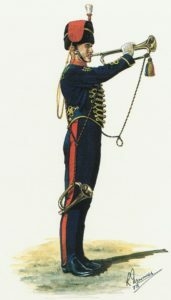 The previously independent Non Permanent Active Militia field and garrison artillery units were incorporated in the regiment on 28 December 1895 and provided with the suffix “Canadian Artillery”. The non-permanent components of the Regiment were granted the suffix “The Royal Canadian Artillery” on 3 June 1935. The regiment was re-designated: the “Royal Regiment of Canadian Artillery” on 29 October 1956; and, “The Royal Regiment of Canadian Artillery” on 27 May 1997.